Whether you're wondering how to get your startup off the ground or looking for answers to why your business has stalled, Feed the Startup Beast will show you how to feed--and unleash--the beast that is your business. "The purpose of business is to create and keep a customer," wrote Peter Drucker many years ago. While none of the many books written by the father of modern management featured a purple monster on its cover, the mindset behind Feed the Startup Beast by Drew Williams and Jonathan Verney reflects Drucker's words: A business without customers is a business that's finished. 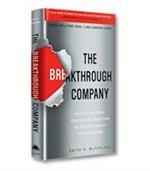 Or, to use the metaphor in the title of the book, a business needs to be "fed" if it is to survive. 1) Ask the right question. Survey your customers with only one question: How likely are you to recommend [my product or service] to a colleague or business associate?" The scores will tell you if your startup is a Beast ready to grow or not. 2) Listen to your best customers. The next step is to listen to your best customers, which means first identifying them - and then show them that you understand their pain. 3) Focus your resources. In this step, you lay the foundation for your marketing by creating the tools you need: a website, your Engagement Spreadsheet through which you can carefully track thousands of prospects, your Engagement Pages (the landing pages for prospects who find you) and your sales team. 4) Attract your best prospects. The key to being found by prospects is your online presence - your success in showing up in search engines and social media sites. 5) Pursue your best prospects. Successful startups do everything to be found online, but they also take preemptive steps to seek out and engage prospects. While much of the conversation today focuses on inbound marketing, outbound marketing continues to be relevant. 6) Nurture your engaged prospects. In the vernacular of the book, prospects are now in the cave, but they have to be converted into customers and eventually fans. 7) Grow! Measure your success. A "Beast Dashboard" is used to track the conversion rates of prospects to engaged prospects, engaged prospects to sales-ready leads, sales-ready leads to customers and customers to fans. Williams is a serial entrepreneur who sold one of his businesses for eight figures. Verney is a communications professional specializing in corporate storytelling. The result of this collaboration is a book that is rich in visual metaphors but grounded in real-world experience. For example, the authors describe a prospect's "decision cycle," which moves from problem awareness and solution education to vendor education and vendor consideration to, finally, vendor selection. In the nurture phase (step 6), marketers move the prospect through this cycle by getting them to climb the "engagement ladder." Thus, a startup might offer analysts reports and buying guides to lead vendors through the solution education stage. Webinars or white papers will respond to their vendor education needs, while video testimonials or demos engage them during the vendor consideration phase. Custom analysis and aids such as ROI calculators can help push prospects to take the final step and to become sales-ready leads. At this point, your sales team will take over. 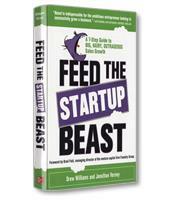 Humorous and energetic but also comprehensive and practical, Feed the Startup Beast is a valuable manual for entrepreneurs building up their marketing.